Among the much-awaited smartphones this year, LG V30 is the name that is present in the list. The company is launching the phone on 31st August, i.e., just after a couple of days and it is coming with a lot of exciting features. With the LG G6, the company started the new Fullvision Display design, and that is continuing with the V30 as it has an OLED Fullvision display. Along with that, it is the first phone to feature a camera sensor with f/1.6 aperture. In the first week of August, the first hands-on images of the smartphone leaked via hitRECord. 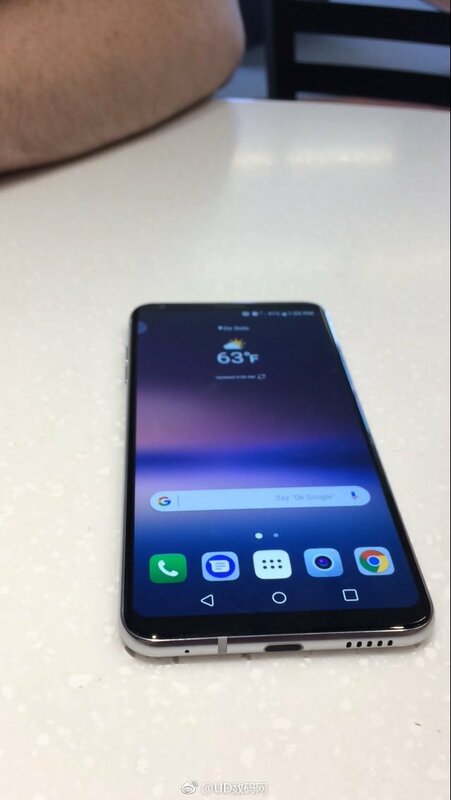 Today, the phone was spotted in the wild once again, and this time, the image that has leaked shows the LG V30 from the front with its Fullvision display. So as the image above shows, the phone has got a similar screen as on the Galaxy S8 and Note 8, but the only difference is that there are no curved sides like the S8 or Note 8. LG has already made it clear that the company has used the OLED Fullvision Display on the LG V30. The phone has LG’s custom skin over Android, so there is no ‘Stock Android’ thing going on here. The USB Type-C Port is on the bottom with Primary Microphone and the Speaker grill. If you don’t know, the phone is also coming with the HiFi DAC for superior Audio Quality. LG has recently posted a video teaser on YouTube promising Immersive sound on the LG V30. So, seems like it is going to be a really good phone. What do you think about the V30? Do let us know via the comments section.